Civil Aviation Authority of Zimbabwe (CAAZ) chief executive David Chawota appeared in court yesterday facing criminal abuse of office charges for allegedly flouting tender processes when air traffic control and communication systems were acquired. Chawota (59), who was represented by Tinofara Kudakwashe Hove, appeared before Harare magistrate Rumbidzai Mugwagwa. The tenders were for the supply, delivery and installation of the radar surveillance system, navigation aid system, air traffic control communication systems and air traffic control training simulator. It is alleged that Indra Sistemas SA PL of Spain was awarded the tender for the supply, delivery and installations of Radar Surveillance systems worth US$19 838 000, while Intelcan Technosystems of Canada was awarded the tender for installing the navigation aid system at a cost of US$3 921 938. It is alleged Chawota implored the CAAZ board to directly engage Indra Sistemas despite a court ruling that a fresh tender be issued. Eventually the CAAZ board on Mach 1, 2017 resolved not to consider the Indra proposal because of the risks involved in dealing with a company which had failed to meet minimum mandatory requirements which would jeopardise passengers’ safety. 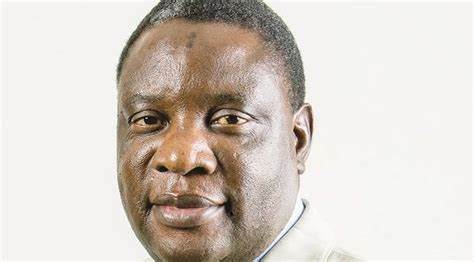 The board instructed Chawota to consult with the Defence ministry, Air Force and Foreign Affairs ministry after the board became cautious about purchasing from Spain on the grounds that it is a member of the European Union, which had trade restrictions with Zimbabwe. On March 24, 2017, the Foreign Affairs ministry advised that it would not be prudent to consider procuring the equipment from the United Kingdom, France, Italy, Czech Republic, Spain and Finland. Similarly, the United States and Canada has a ban on the export to Zimbabwe of such equipment. It is alleged on December 20, 2017 Chawota went to Spain, purportedly for a due diligence, but signed a contract with Indra valued at €27 900 000. The signed contract had other systems such as navigational aid systems previously awarded to IntelcanTechnosystems of Canada and air traffic control communication systems previously awarded to AME ATM, which had not been cancelled, meaning CAAZ was thereby creating a double award. The company, however, failed to implement the project for lack of funds and Chawota is now engaging the Africa Export and Import Bank to provide funds.